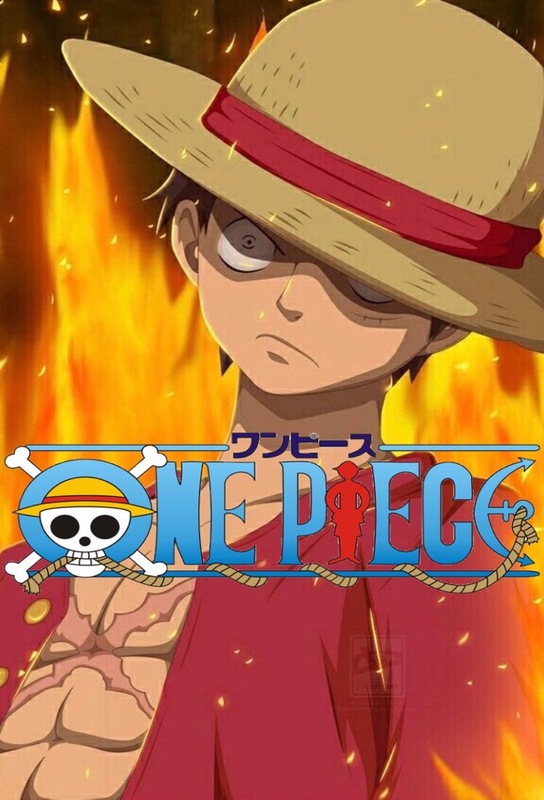 Luffy's Decision - The Sanji Abdication Crisis! 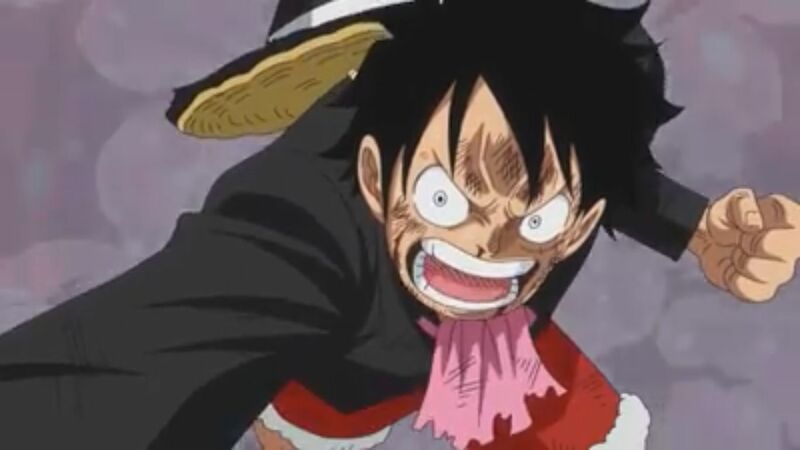 Defensive Battle of Zou - Luffy and Zunisha! 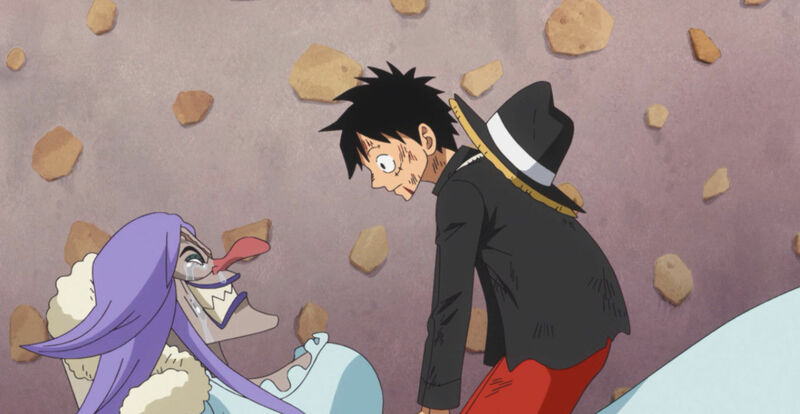 Save the Giant Elephant - The Straw Hats Rescue Operation! 0 and 4 – A Confrontation with Germa 66! The Yonko's Daughter – Sanji's Fiancée "Pudding"
Kingdom of Souls – Mom's Fearsome Power! 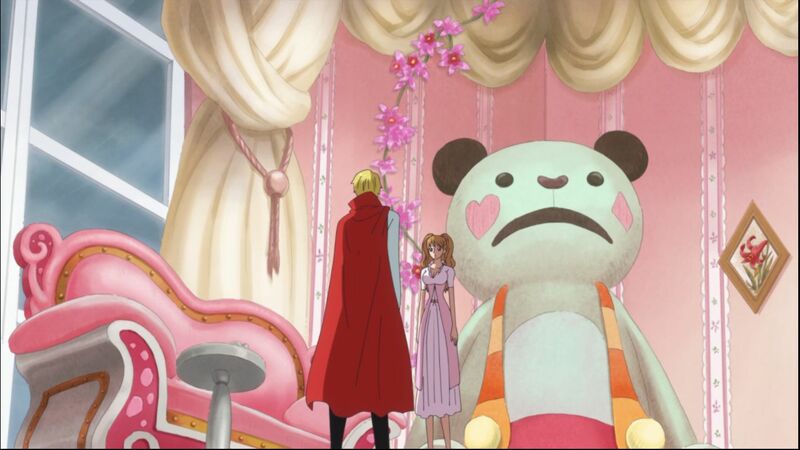 Sanji is furious! The secret of Germa 66! 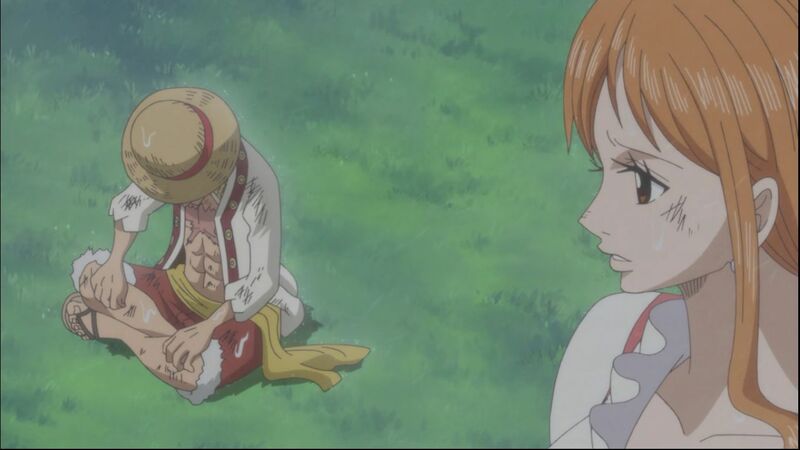 Nami confronts Cracker and tries to use various tricks against him, but they prove ineffective and he overpowers her. 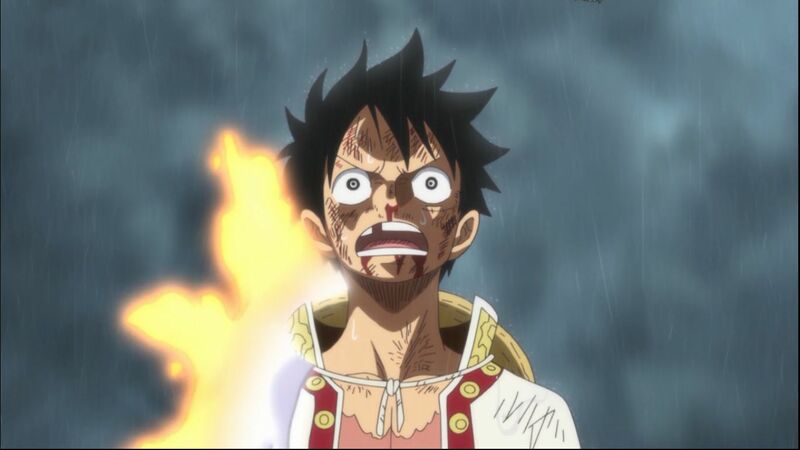 However, Luffy regains his Haki and leaps back into the fray, taking Cracker by surprise with a Gear Second punch. 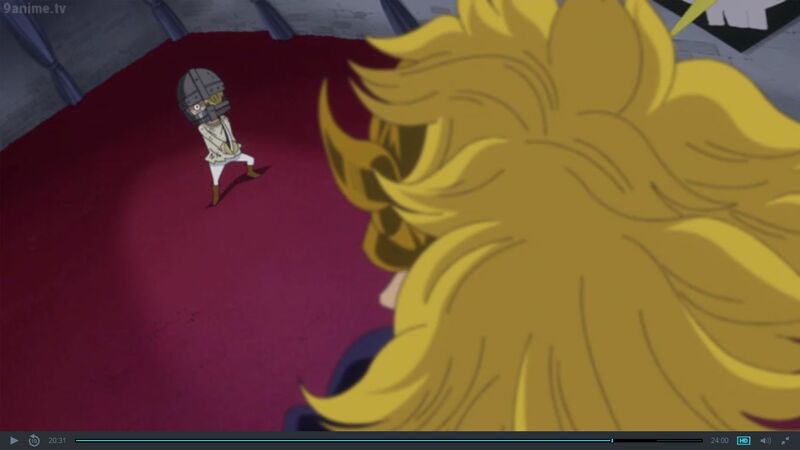 In the Germa Kingdom, Sanji cannot continue fighting Niji due to the threat on Zeff, which allows Niji to pummel him. 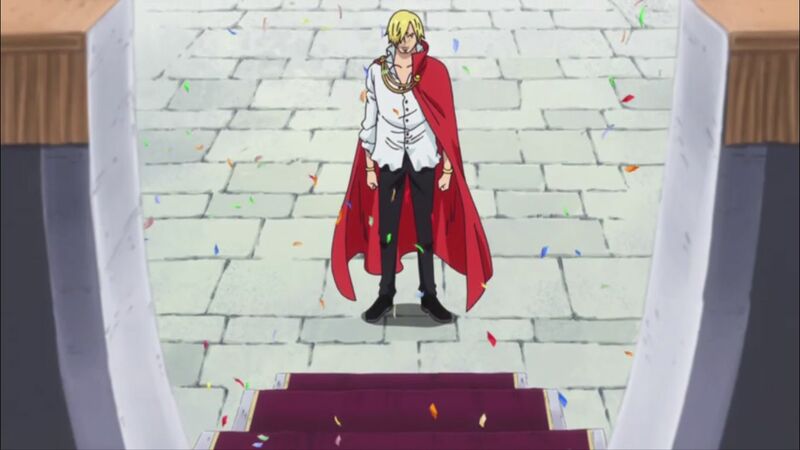 As his brothers stand over him, Sanji remembers his childhood in the Germa Kingdom. 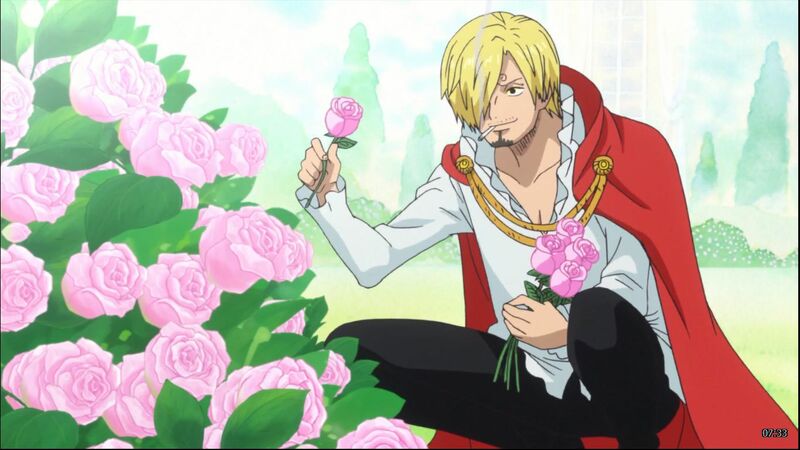 Judge had given him and his siblings superhuman abilities and had them train their skills, but Sanji continuously fell far behind his siblings' performances, causing him to be viciously bullied. 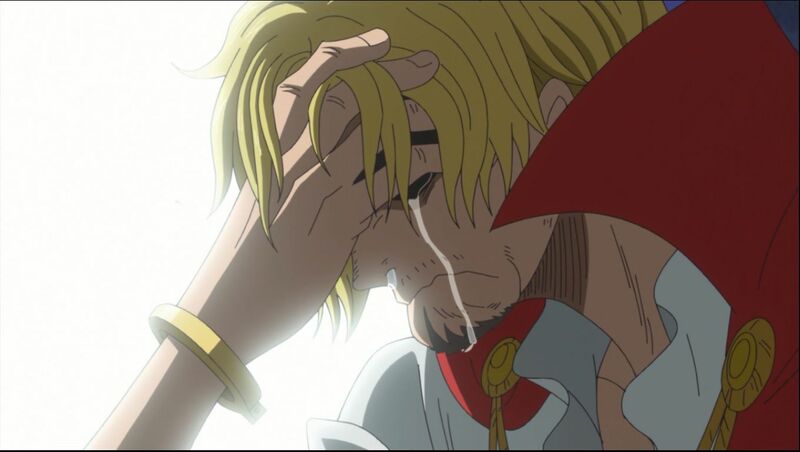 Judge discovered that Sanji possessed no superhuman abilities after all, and he faked Sanji's death, locking his third son in a dungeon with an iron mask on to act like he never existed. In the East Blue! 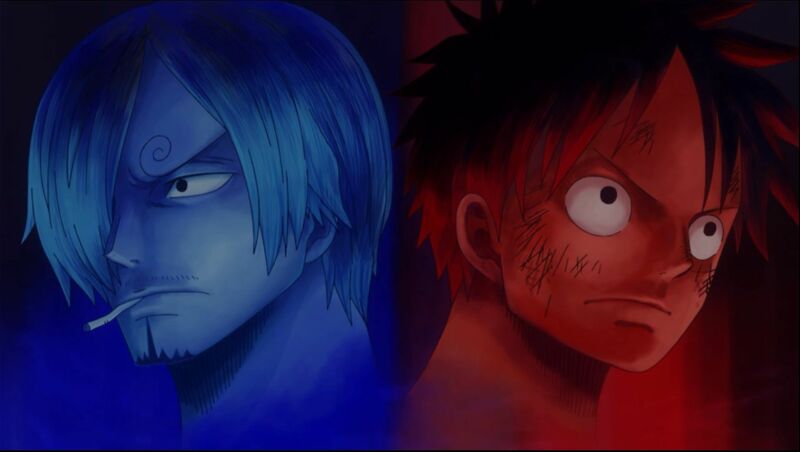 Sanji's firm decision! Betraying One of the Four Emperors! The Great Brook Rescue Plan! Offering up a Sake Cup! Chivalrous Jinbe repays his debt! The plan failed!? 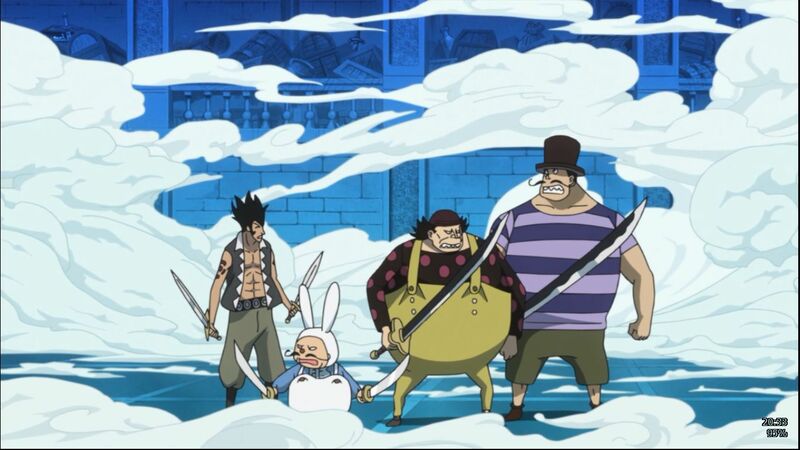 Big Mom Pirates Counterattack! 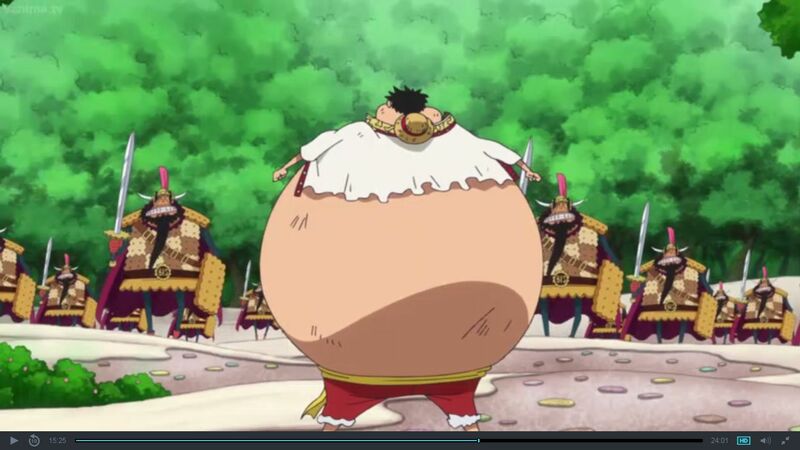 After burying Luffy under a mountain of mochi, Katakuri believes he won and calls his chefs, who bring snacks for him to feast on. 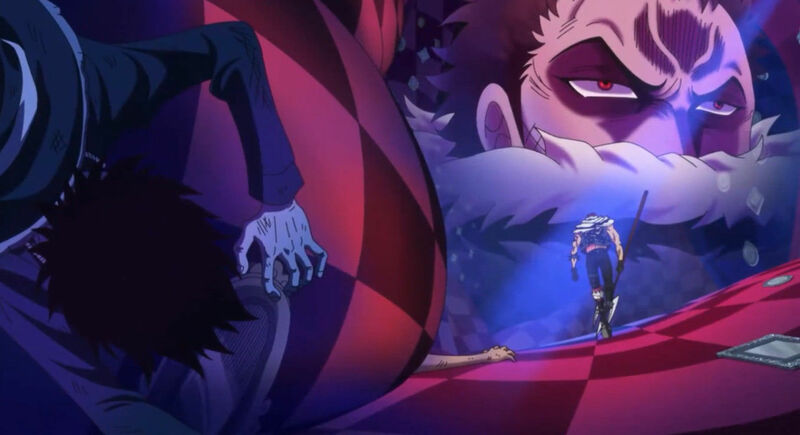 Katakuri makes a shrine where he can eat in private. 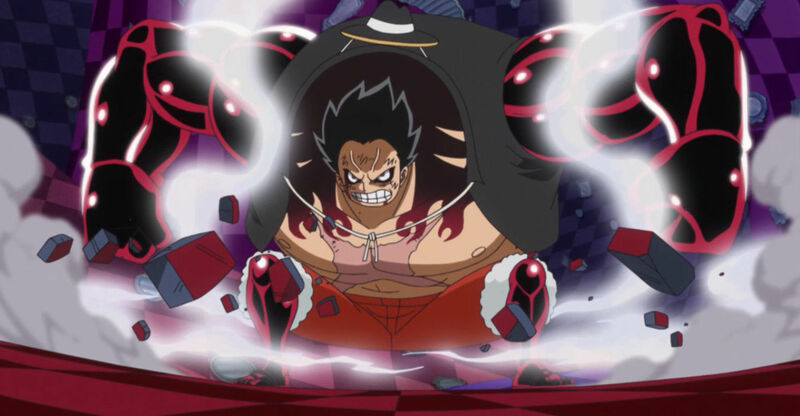 Luffy breaks out of the mochi he was buried under and shattered the shrine, exposing Katakuri's face. 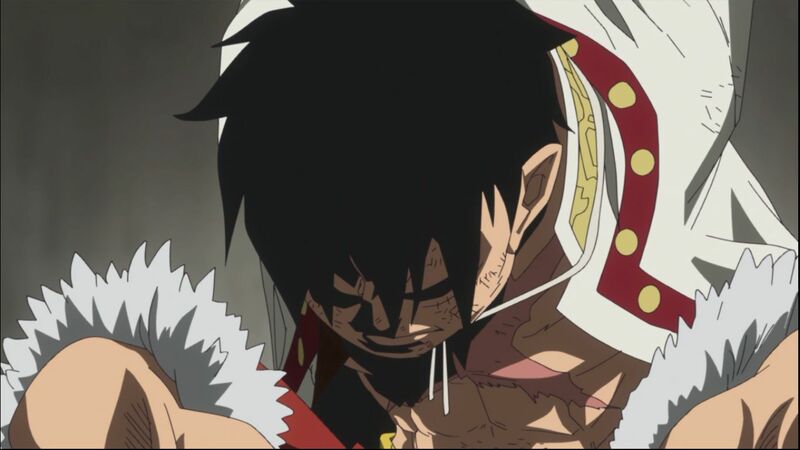 Katakuri then executes the chefs before resuming his attempts to kill Luffy. 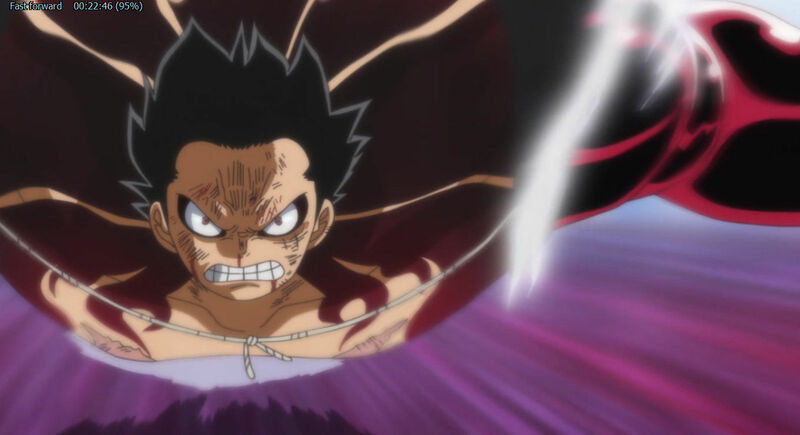 After managing to land a hit on Katakuri, Luffy says that he figures out how to beat him and activates Gear Fourth.